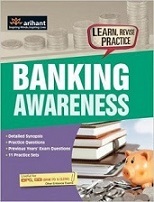 So In todays post I am sharing important Banking Awareness book by Arihant publication in PDF format for Upcoming RBI Assistant 2017, uiic, IBPS exams. Banking System of the India. Origin & Development of Banking System in India. Financial reform and Banking innovation. Financial banking Institution in India. Industrial Development and Foreign Trades.